WhiteKinght's Commonwealth Stamps Opinion blog* that Royal Mail usually take a stand and have their Post and Go machines producing stamps with specific inscriptions. On some occasions Smilers stamps have also been available. The Scottish Nationalist Party will meet at Glasgow from 8 to 10 October. Stamps were dispensed at last year's conference so we might expect similar stamps with the additional inscription "Glasgow" again this year. The Labour Party will meet at Brighton from 24 to 27 September so look out for Post and Go stamps with additional inscription "Brighton". The Conservative Party will meet in Manchester from 1 to 4 October and so one might expect Post and Go stamps with additional inscription "Manchester" being sold there during the Conference. Link to MyRoyalMail about 2016 Labour Conference. * WhiteKnight has far more information about Post and Go than I do, and his latest epistles include news of various emanations from Post and Go machines IN Gibraltar - which are more 'valid' than the similar ones sold at London Stampex. He also mentions in non-PandG news that Swiss Post are now operating from Gibraltar as they are from some of the Spanish island tourist destinations. Attractive stamps but unless collectors pressurise the catalogue producers they won't be included in mainstream catalogues. UPDATE: WhiteKnight's latest update includes pictures of the Post and Go stamps from the Brighton Labour Conference. UPDATE: PostageLabelsUK has pictures of the stamps and more pictures of the stand. Also available on eBay. 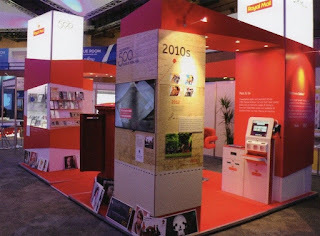 § Explanation of the absence of PandG from the Lib-Dem Conference is because it coincides with Stampex, and those in charge of the machines can't be in two places at once. Ian, thank you for the mention. I have been keeping an eye open but as yet I haven't seen any Labour Conference (Brighton) Post and Go stamps being offered for sale but, according to one newspaper, RM do have a stand there so we will see what is put on sale on internet auction sites over the next couple of days. The Gibraltar Freemasonry P & G stamps are now being sold on the Gibraltar Philatelic Bureau website. If Anonymous is referring to the Labour Party Conference at Brighton 2017, then what do these numbers refer to??! If they are ebay reference numbers, the first is a Glasgow 2016 strip from last year and the other does not match any ebay reference number at all!! There are a number of problem with giving ebay numbers, one is that the item can either sell out as 172891400315 did, checking the completed listings is always advisable to check as seller often relist. Another problem is that seller can change the listings as a way to reduce fees, so what may originally, for example, Ladybirds P&G could be amended to Mail by Air P&G. Just go into eBay and search for Post & Go Party Political Conferences 2017 (or similar wording) and see what comes up. Far easier than putting in numbers that are not always correct.